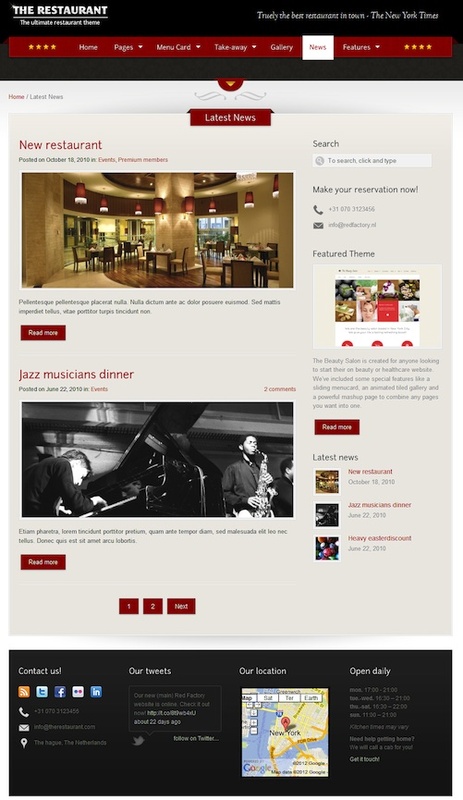 The Restaurant WordPress Theme is an impressive restaurant template. Impress your customers with your sliding menu cards. Other features include google maps, image gallery, ecommerce ready, make reservations and more.